so, i have some questions i’d love some answers to. i’m not trying to start trouble. i’m not trying to stir a pot, but as a former preschool director with over 60 ECE units (you need 6 to be a teacher in a daycare or preschool classroom in CA), i keep reading this strange thing all over the internet. this phenomenon referred to as homeschooling preschoolers. to preface, i am totally supportive of differences of opinion and i’m open to hearing why you’ve chosen what you’ve chosen, but, i’m baffled. completely and utterly baffled by what i’m about to write about. suddenly i keep hearing and seeing “homeschooling my preschooler”. i don’t understand what that means. honestly. preschool is not mandatory in any state. there is no mandated curriculum to be covered in the preschool years so i am not quite sure what this all means?!?!? below are a list of objectives directly from Title 22, the childcare general licensing requirements, to be accomplished during the toddler/preschool years (2-5yrs old). playing with manipulatives – blocks, lego’s, unifix cubes. learning about autonomy and making choices. this is where it gets fuzzy for me. ALL of those things, i did with both calen and leah long before they could talk. it was part of being out in society, in the world! a trip to petco was a lesson on animals! a trip to the grocery store was colors and shapes and foods and tastes. and our grocery store has a mini cart so they would help out on occasion. for 12-hours a day i had both calen and leah from infant until 2 years old. we played all day long. we engaged all day long. i never called it homeschooling, i called it engaging with my child (or charge in this case) and spending my day entertaining them with age appropriate activities. this is why i don’t understand this calling it homeschooling?? why not just admit you don’t believe in preschool or you can’t afford it? why is there a need for calling, what i personally consider being a parent and unselfishly engaging with one’s child homeschooling? 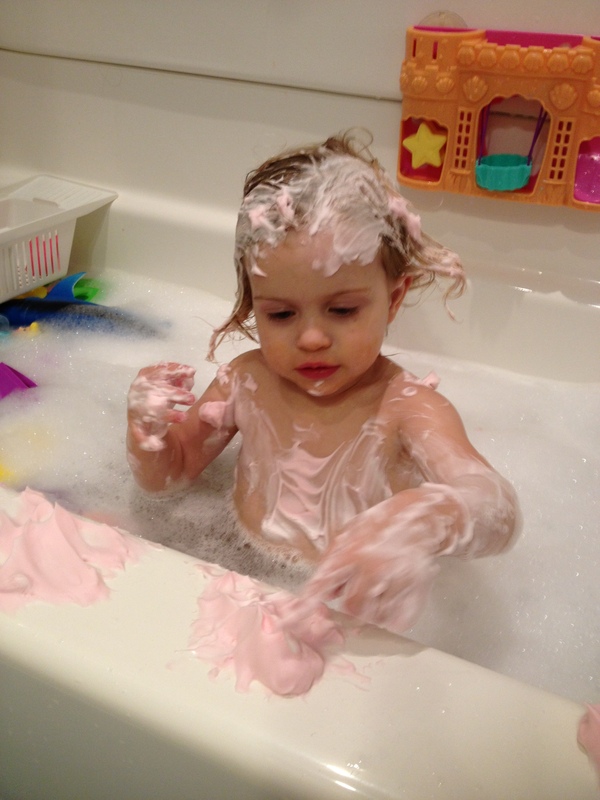 leah is 2.5 years old. she speaks in sentences like a 4-year-old. she can pronounce all her words, she sings the ABC’s, she can count to 20 in english and 10 in spanish. she is compassionate. loving. caring. when she started daycare in january of this year, she was put into the 2-year-old class at 22 months old and never had a problem keeping up. she was more than able to keep up. (*to clarify, it was not my choice for her to start daycare when she did, that was her parents decision but it has certainly not hurt her in any way.). but prior to that we were together for 12-hours a day. and the entire time she was awake i was like a walking episode of Sesame Street. i didn’t talk on the phone while we drove, i pointed out cranes on the 405 that i talked about looking like giraffes! we looked at the moon nightly and talked about the shape that it was, before calen was 2 he could tell you it was a crescent, half or full moon without hesitation. i pointed out shapes, colors, numbers, letters. i talked to them ALL DAY LONG about what was going on around us, when we were out. “see the big green tree?”, “where’s the yellow bus?”, “want to sing twinkle twinkle?”, by the time calen was 3 he could tell you the difference between a toyota, a nissan, a chevy and a ford. because as we drove in the car everyday, i found things to talk to him about. i wanted him to learn. children are sponges. we played with different textures including dry rice, and playdough, A LOT and we started at a very young age because textures are fun! 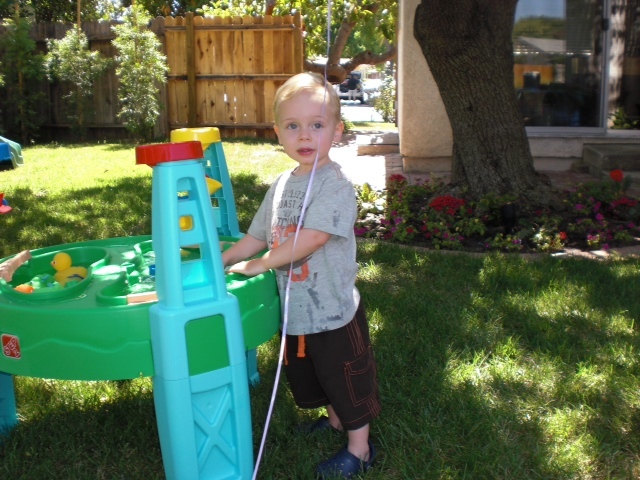 we spent hours at the water table, it’s a fan favorite! and for those of you not in sunny California, bring your table inside and fill it with dried rice or beans for texture play! we played in the sand and we also played pretend. 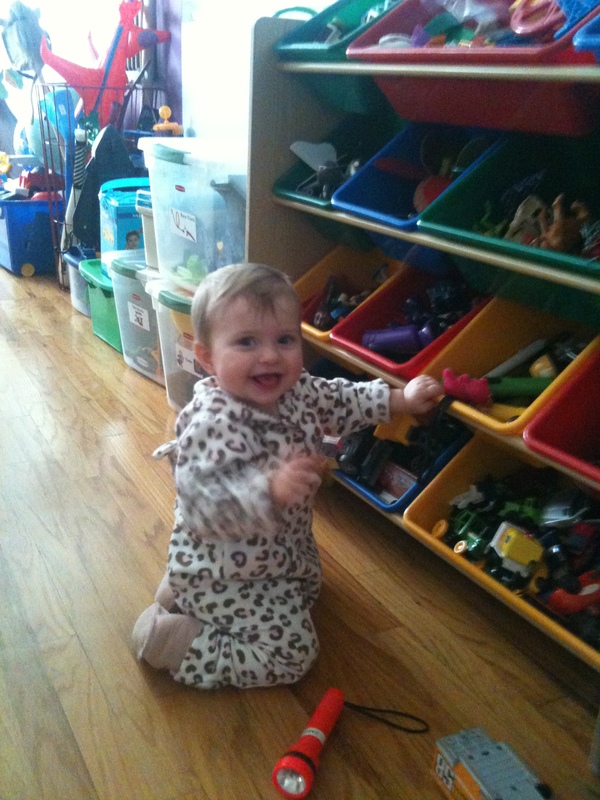 leah is 13-months old in that picture and understood the concept of playing pretend. and boy is that the most favorite activity ever at our house now. i still never considered calling it homeschooling. i saw it as spending time with my child one-on-one, being “on” for her and focused on her the entire time she was awake. and i came up with age appropriate activities to fill our days and introduce her to new things. we read books A LOT, the collection in the house is ridiculous! weekly, calen and i used to go to the bookstore (when there WERE brick & mortar bookstore’s) and buy a book every single week. some were classics. some were favorites of mine. and some were ones he picked out that he wanted. we had playdates with similarly aged friends, and learned to eat at a toddler sized table and we colored, A LOT, not because i was homeschooling, but because that’s what you do with children between 2-5 years old when you’re home with them the whole day. one of my closest friends is not a big believer of preschool, nor does her family have the funds to send her children for more than one year, which she did and doesn’t regret, to help socialize her children. but she did and does ALL OF THE ABOVE with her kids and never once did i ever hear her say she was homeschooling. in fact, i asked her about this. i thought maybe i just was out of the loop, but she too was shocked at this new trend. she called that being a SAHM and spending time with her child. so, explain it to me, PLEASE!!! i don’t get this term homeschooling preschoolers. as i re-read all that i did on an hourly, daily and monthly basis with these kids, i really am proud. proud to say that i gave them a strong foundation which has allowed them to thrive in preschool and daycare. i taught them to notice things around them. interact like little people and not be afraid. i truly do not judge. what’s right for you and your family isn’t always what’s right for the next person. but with this, i just don’t understand. is there a curriculum that you’re following?? who makes up this curriculum for you? why is it necessary to be having a child that young doing curriculum? why are you feeling the need to home school at such a young age?? isn’t kindergarten expectations rigid enough these days that to start them even earlier is just taking away their babyhood and childhood?? i REALLY and truly am just looking for some explanation as to what this preschool homeschooling is about? what does it mean? who governs it? and why are you choosing this route? if you aren’t comfortable posting an answer or response publicly, please feel free to email me at TraciTalksBack@yahoo.com. i appreciate any and all feedback and welcome anyone willing to share to please help me to understand, because if i don’t understand there has got to be others out there that don’t either. 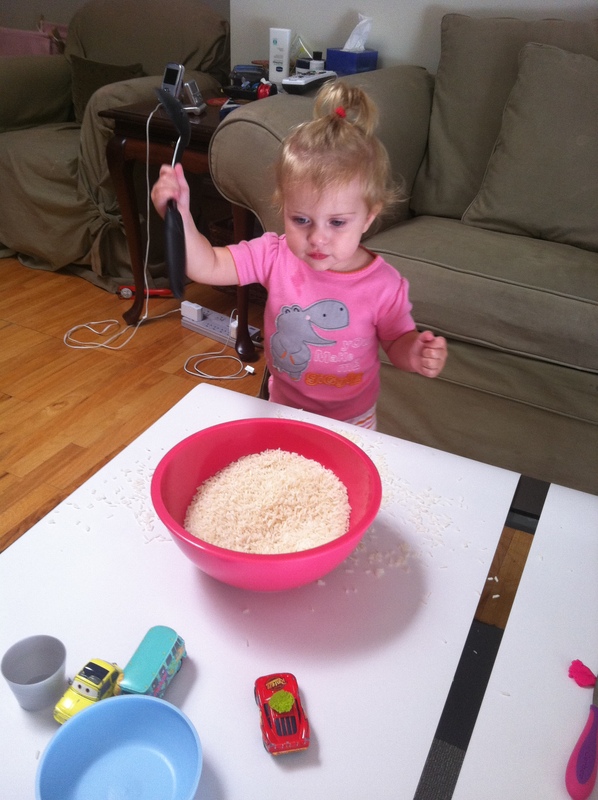 This entry was posted in the munchkins and tagged home-schooling, preschool, SAHM, toddelrs. Bookmark the permalink. 11 Responses to could someone please explain??? Home-schooling preschool?! I have never heard of that before! Isn’t it just teaching your kids their shapes, colors, letters, numbers, ect. without having to pay the ridiculously insane price of having someone else do it at a “school”? I am like you, I point things out to Lucas, teach him things, as does his school, but I have never heard anyone refer to teaching your toddler things at home home-schooling preschool. To me, it’s just teaching them the basics and preparing them for kindergarten. 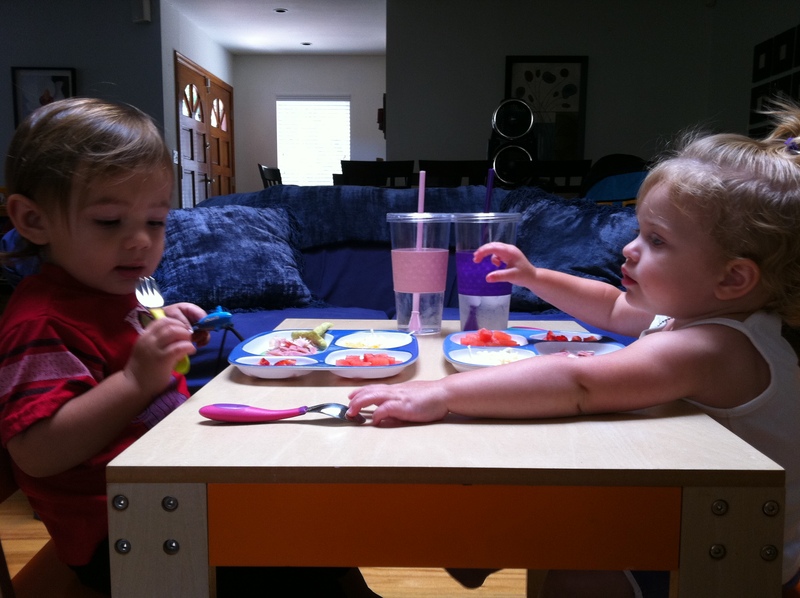 One of the reasons we chose preschool verses daycare is preschool has a more structured schedule than a home daycare. If I wasn’t in school, I would be teaching him these things at home and not call it home-schooling preschool. No one forces kids to go to preschool like you said, there are no laws that state kids need preschool before kindergarten. Parents are crazy these days. nope, this is not an LA quirk, in fact i hear about it online from one coast to another. i don’t understand it and i find it interesting that the first and only 2 people to comment so far are SAHM’s who both are doing great jobs, doing it simliiarly but also don’t understand the same thing i dont understand! i look forward to today and once i get some answers (i have none yet) i will happily do a follow up post including the information and explanations anyone sends me that’s not comfortable posting. 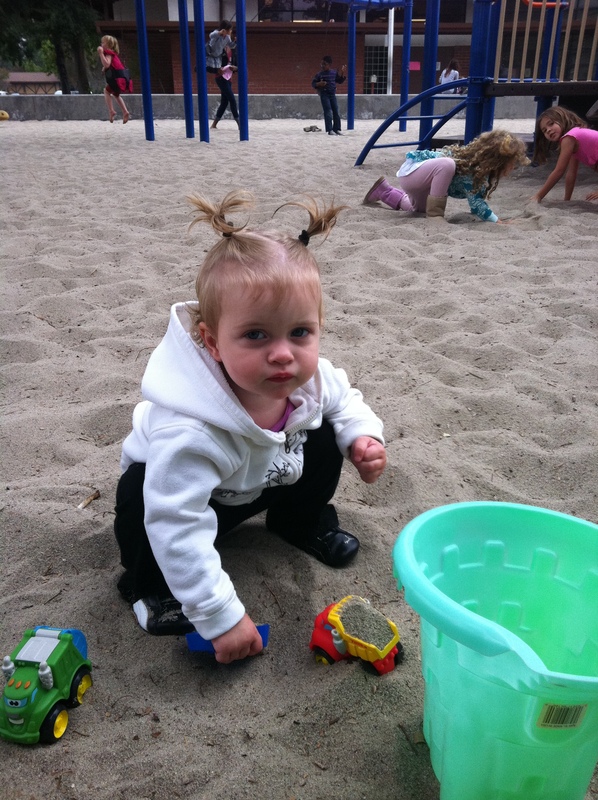 AND……..you make an enormously HUGE statement that is the topic of a follow-up post to this one i have been planning for a long time……….DAYCARE ISN’T PRESCHOOL and what IS the difference. it’s shocking to me how many people don’t understand or know the difference!! Hmm… this is an interesting post Traci. I think that there is some pressure for parents to ‘prepare’ their children for kindergarten/the world by ensuring that their kid knows all the basics, and then some, by that time. As the mother of a 3 year old, I definitely started to fall into that “am I doing enough for her?” trap. While I was super interactive with her, doing many of the things that you mentioned doing with Calen and Leah, I also had things to do around the house and errands to run and all that stuff. Like you, I tried to make them as interactive as possible and looked at every opportunity as one for learning, I still felt as though I should be ‘teaching’ her something. I can’t really put my finger on why. I don’t think I would have called it ‘homeschooling my preschooler’, although I did want to know what kids did in preschool so we could do them at home. 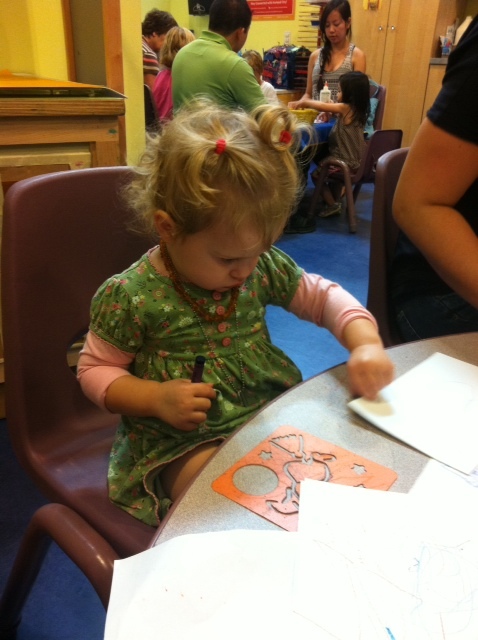 Recently though, our local playgroup developed a preschool co-op, which she attends twice a week for 3 hours. To me it doesn’t matter what she learns there in terms of ABC’s/123’s, but it gives her something that I can’t at home which is the opportunity to interact with other kids, to learn how to navigate socially when mom isn’t around. This was important to me because I grew up as a shy kid, and Olivia can be quite shy herself. I think this got a bit off-topic! I guess my point is I understand the pressure some parents might feel to ‘homeschool’, but it’s important to take a step back and recognize your kid will have all the right tools if you simply play with him/her, interact, talk to them, answer questions, etc. erin, you didn’t get off topic at ALL. you hit every point that i made and don’t quite understand. i have to do errands, chores, and things around the house, the kids help me!! laudnry, cooking, food shopping, costco, target, planning birthday parties, etc etc etc, all part of what i did with the kids and i understand wanting ones child to be “prepared” for Kindergarten, but isn’t being prepared for the world far more important??? i love the idea of a co-op preschoo!! i in fact sent my bff to one because she’s a SAHM and felt she’d like to be part of the process and it’s working great for them! i personally see that as the perfect arrangement for a SAHM who wants her child in a school setting, around other children but is happy to join in the process. thank you so much for sharing your perspective, i think you and i are on the same page here……….and i look forward to getting further on this topic of “homeschooling a preschooler”. as you say, learning is all around us and between 2-5 years old it ALWAYS has seemed to me that spending quality time with your child, showing them the world around when you are out and about, playdates and socializing, interactiing with them playing age approrpriate games and doing age appropriate actitivies when at home is THE MOST valuable gift you CAN give your child! i just don’t understand the use of this word “homeschooling a preschooler”. Never heard this term. Preschool is absolutely not mandatory – even KINDERGARTEN is not mandatory but that’s just nuts (the kids who came into Dixie as 1st graders didn’t know which end was up for about 6 months because Kinder is a lot about routines and learning how things work and where things are as much as it is about learning to read). I can explain it though Traci. People just have this need to make things more complicated than it is. In addition I think a lot of SAHMs get slack from friends or feel like since they are “just” a SAHM they aren’t really doing anything (this is of course horse crap). So maybe they are making up this new thing so they can feel more important. Guess what? Being a SAHM or a full time caregiver IS ALREADY important. So be proud of it. And I say send your kid to preschool already while you are at it. If you can’t afford it or if you find the tuition at most school outlandish then find a cheap co-op or something similar and get your kids in a classroom setting (where you are not present) for a few hours a week at least for the year before Kinder. Or be prepared to see your kid cry every day as you leave them at the kinder classroom door (probably because you’re not ready and they sense it, not because they’re not ready). You don’t have to drop them at a preschool for 8 hours a day 5 days a week, but it wouldn’t hurt them to have 2-3 hours in the morning 2 times a week. They get to learn to have fun in an environment where you are not there and you can go to Target by yourself and pretend you are on vacation. i could not agree more coralyn and appreciate your sharing as the mother of two now school aged girls who is a SAHM who rarely if ever in 7 years used any help at all. you a spouse who works exceedingly long hours, but you’ve always been hands on and you’ve been the epitomy of what a SAHM should be IMO. i thank you for so eloquently explaining exactly how i see it so far. being a SAHM is THE MOST IMPORTANT job any mom could ever have, why do you need to add to that to prove something to anyone else??? thank you again for your response and opinion and for possibly clarifying what this is i’m reading all about these days. next post, what’s the difference between preschool & daycare, cause lordy lordy lordy, there’s a HUGE misconception there!!!! I am a homeschool mom. My daughter is in preschool. 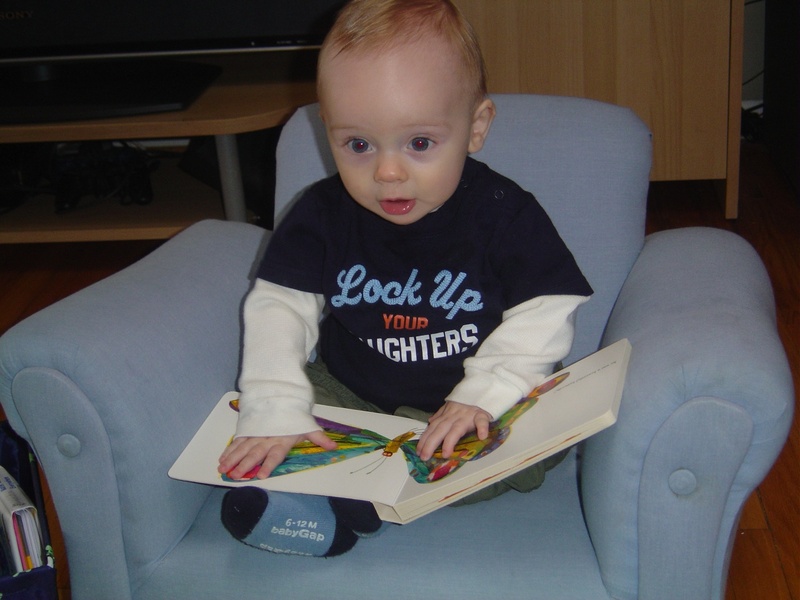 While preschool may not be mandatory, as a society who performs annual statistical analysis, we have seen the benefits of a child sitting down and having dedicated time to learning before entering Kindergarten. Preschool, although not mandatory, is extremely beneficial in preparing our children for their future education. I have chosen to homeschool my children. Not just for preschool but until they graduate highschool, or until I see that we need to re-evaluate. This decision means that we start school in preschool. I do not understand why this is so confusing. I do not mean to belittle your questions. 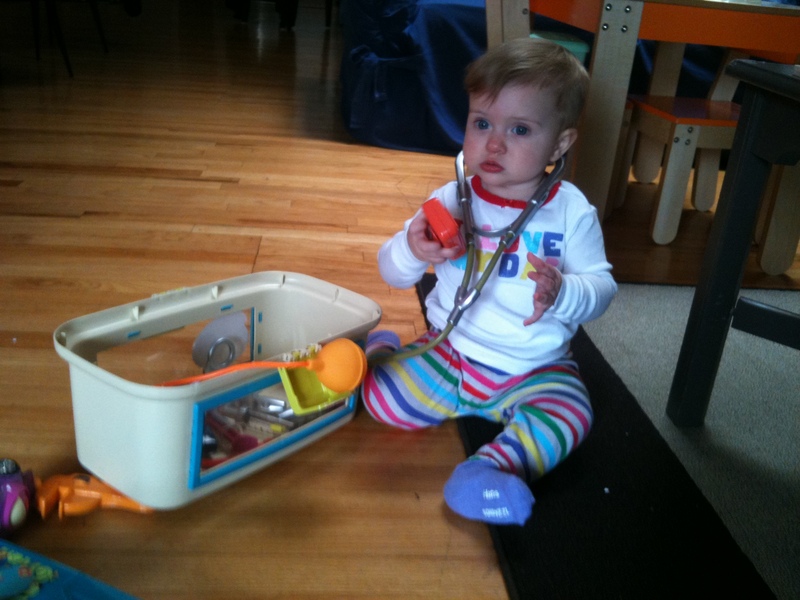 If you believe in preschool, what is the problem with having preschool at home? 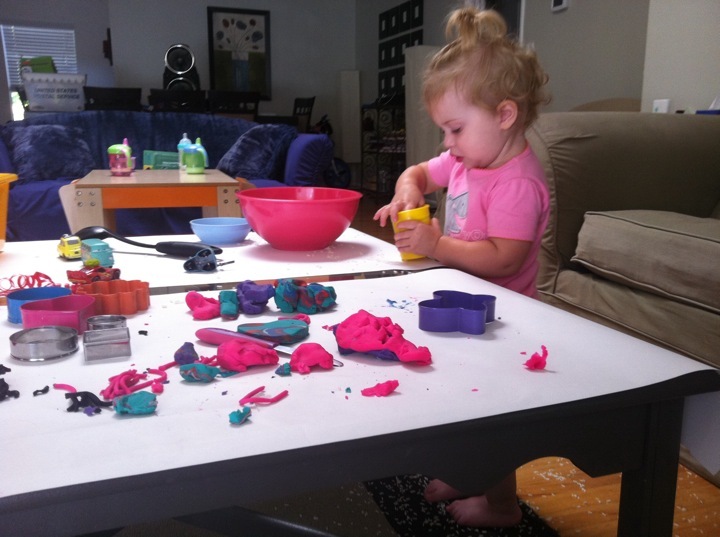 Do I use manipulatives with my children outside of school? Yes. Do we play in the sand, go to playdates for socialization and do all of the other things on the list? Yes. We also have a curriculum. We read science books. We do math. We write and count. We are teaching about all of the different jobs people have. We are educating her in and out of her “classroom”. So essentially we are doing everything that they would be doing in a classroom. And everything a child does at home with a mom after school. We just do it all in our home. Does this help you to understand it a little better? I hope so. I know it was not your intent but this post was a little belittling to homeschool moms. I really want you to understand better. I feel like there is so much judgment between homeschool moms and moms who send their kids to school. It really is a shame. What is best for one child is not always what is best for another. thank you for your perspective and education on your situation Kristen. i DO agree what’s right for one isn’t right for all. but, i guess this also brings the different philosophies in what kids need under 5 years old. am just not of the belief that children need to be reading, writing and using workboks before their of school age, 6+, and i feel children aren’t being allowed to be children long enough and life is so short, why not let them just play and enjoy their toddler years??? that’s why i don’t understand the concept of homeschooling preschool. feel free to keep your child home as long as you choose and you are the first person brave enough to share, what that means to you and your family and i commend you for making a choice, sticking to it and being able to explain it so eloquently. I am a SAHM (and one of your closest friends ;p) and as you mentioned above, for my family, one year of preschool before Kindergarten was all we could financially do. However I do not believe that what I did before my girls went to preschool was “homeschooling my preschooler”… It was Dun Dun Dun…being a PARENT. Traci and I have discussed this many times: when you are a parent to smaller children you spend most of your day sounding like an episode of Sesame Street: “We are going to buy 5 apples today, can you help me count? ?” “What color are these apples? What shape are they?” Sure, you get strange looks from people sometimes, but that is their problem, not mine. It is not the job of a preschool to teach your child colors and shapes and letters. The primary function of a preschool is to teach children how to take direction from other adults, how to interact, to help them share, play, and explore their environment. 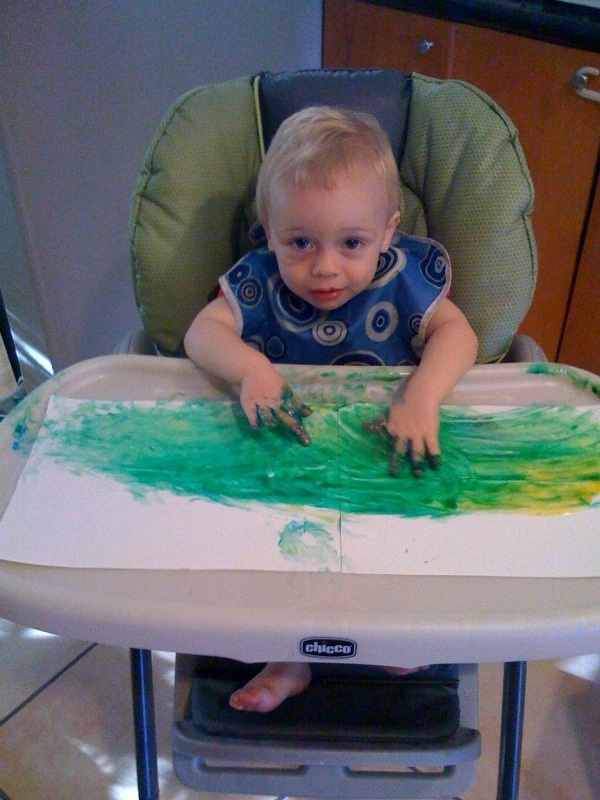 To paint, play with playdough, dig in the dirt…TO GET MESSY. A good preschool should have no other agenda, IMO. Our children have 12 years of basic education ahead of them, they should be allowed to come home with paint in their hair and mud between their toes before they have to come home with an hour of homework. It is MY JOB as a parent to make sure they know how to recognize their name, colors, shapes, etc. etc. It is MY JOB as a parent to make sure my children know the general rules of life (No hitting, not biting, not pinching). It is MY JOB as a parent to show my children that learning is fun (if I want them to believe the same thing). I think Coralyn is right, calling it “homeschooling” is really a justification for being a SAHM, which needs absolutely NO justification at all. I have been a parent for 6 years and it is the hardest job I have ever had, I don’t think there is any need to tack another name to the title. Plus, the whole point of preschool is to have children around other children, and if you are “homeschooling” your preschooler than you take the core function of preschool out of the mix (Yes, I know you have playdates, but playdates and children interacting in preschool are NOT the same thing, sorry). I’m not saying YOU MUST GO TO PRESCHOOL, because of course it isn’t for everyone (financially or belief-wise). I am saying that you should just call what you do at home parenting and be content with what a rockin’ job you are doing making sure your kid enters Kindergarten knowing their ABC’s. Thank you Natalie. I didn’t want to “out” you, but appreciate your explanation and appreciate your first hand insight like Coralyn offered. Both of you are mothers that i would model myself after and have when raising Calen & Leah (& now Brady). I’d like to thank everyone for their heartfelt responses and taking the time to answer my questions. we all have our own philosophies and ways of raising our children, and what’s right for one isn’t always right for the other. i hate seeing women, families, people divided by things so simple as child rearing?? why can’t we all do things differently?? why do you have to use your blog to tell me why what i’m doing is wrong?? why do you take offense and make me feel bad for chooseing to work full time and send my child to daycare?? it’s awful. and i’m only one person, i can’t change the world, but as a careful observer to both sides, i’d love to just see people accept that we all have different ways of doing things, no matter what it is. my college degree is to be a preschool director. of COURSE i’m going to see the value and importance in preschool and socialization even as simple and minor as both natalie & coralyn explained above and you aren’t going to change that opinion i have. but, i also am not going to try to change YOUR choice or opinion to homeschool, plain and simple!